YES! 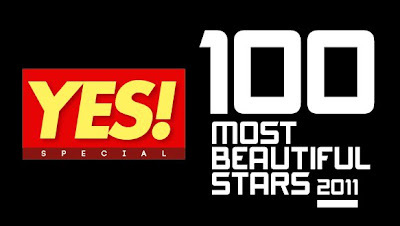 Magazine's "100 Most Beautiful Stars 2011" list has been released! This year, Yes! Magazine named John Lloyd Cruz as the most beautiful celebrity in the Philippines. The Kapamilya actor is the first male to be given the recognition. Among those who ranked number 1 in the previous years were Judy Ann Santos (2007), KC Concepcion (2008), Marian Rivera (2009), and Kim Chiu (2010). 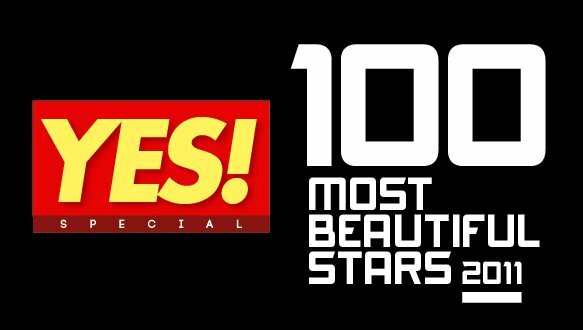 A special issue of the magazine containing the Top 100 Most Beautiful Stars list for this year was launched this week. John Lloyd is on the cover of the issue. Rhian Ramos is not in the list? hehehhe impossible!!! What number ba si Jessy Mendiola? Sya kasi ang laging inaabangan ko eh.. Pls. enumerate. Thanks! beautiful physically???! !if so why is eugene domingo and pokwang in it?! come on!! o what are your bases for this list!! why judy ann is not in the list!! come on!! what a list!! daah! !wat ever.4 me,angel locsin p rin ang # 1 top most beutiful. Sharon Cuneta, Karylle, Jolina Magdangal, Robi Domingo, Mariel Rodriguez, Robin Padilla and a lot more are also not on the list. bakit di kasama si kolin garcia?..she's pretty naman dibah?...idol po talaga kita miss angel..
BASTA AQ OK LNG NANDYAN ANG IDOL Q,,,,HI ANGEL UR THE BEST...UR ALWAYS BE MY #1.
beautiful po inside and out. hindi nman sinabi most beautiful physically. kaloka kayo! don't be kitid much! kakalukang yan, bakit ako hindi nasali jan.